How was the training camp? "It was all good. We enjoyed excellent conditions, both in terms of the weather and also the facilities. We worked well. The second aim of the camp was to get everyone together for a short period to discuss and exchange about everything and that was also good, so overall, it was very positive. Now we are heading back to Lyon to continue preparing for Sunday's match." How are you approaching this Coupe de France match against fifth division opposition? 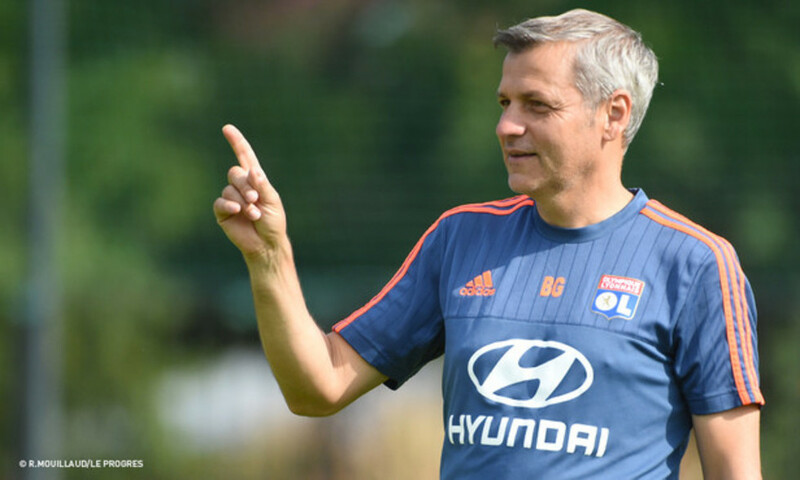 "We know you have to be completely focused in this knockout matches, like the Coupe de France. If we match our opponents' desire and motivation, we know we will be better than them. But there is always that risk that you'll be up against amateurs giving it everything and a Ligue 1 side that thinks it will be easy, and that's when things can get tricky. It's up to us to prepare well, which is what we've done for the last three days. There's no reason why we won't be ready." How do you feel after a few days as coach? "I feel good, very comfortable. There's not much difference to what I was doing before, except that now I make the final decision after consulting my staff. That's the big change for the moment."